Roasted potatoes with a crispy Parmesan, paprika, and garlic coating protecting a tender interior. If you know me, then you know I like all sorts of potatoes and most sorts of cheese. However, I don't think I've used Parmesan cheese with roasted potatoes, so I figured it about time. I'm glad I did! Not only are these potatoes easy, but they're quite tasty too. Just cut up some potatoes, shake it all around with seasonings, and spray with just a bit of oil. (As usual, I used my handy, dandy Misto.) 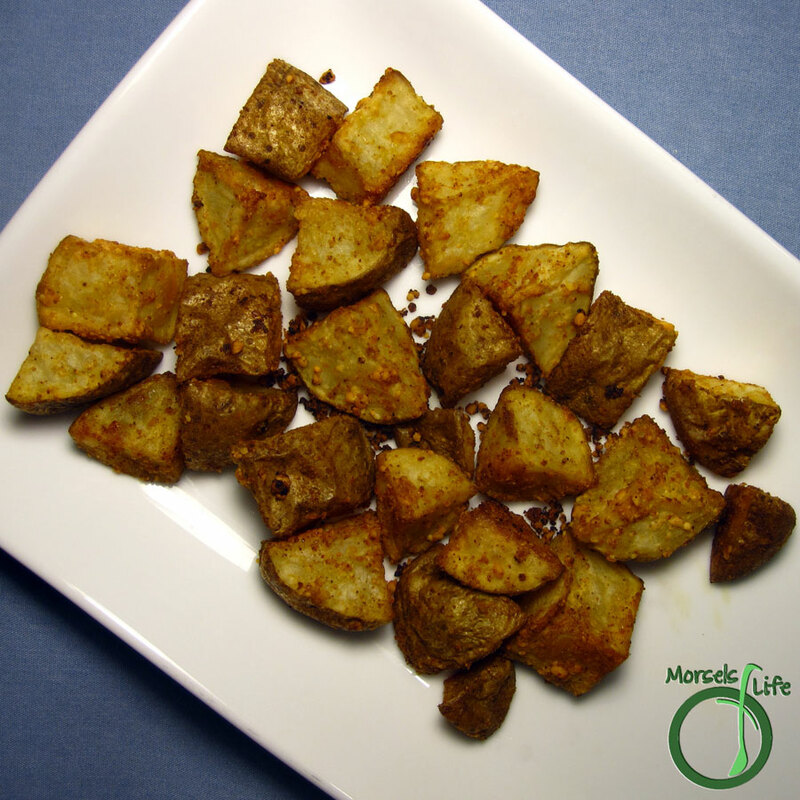 Give these roasted potatoes a try, and see what you think. What are your favorite type of potatoes? 5 potatoes I used Russets. Wash and cut each potato into chunks. Combine all materials in a container with lid. Shake container vigorously until potatoes well coated. Spray a light coating of oil on top of potatoes. Bake at 425F until potatoes cooled through. Hi CJ. Just stopping by to let you know that I was your Secret Recipe match for this month, and I chose to make and post this recipe. I also made your Barbecue Sauce. Both were delicious. Thanks so much for sharing. Have a great week.